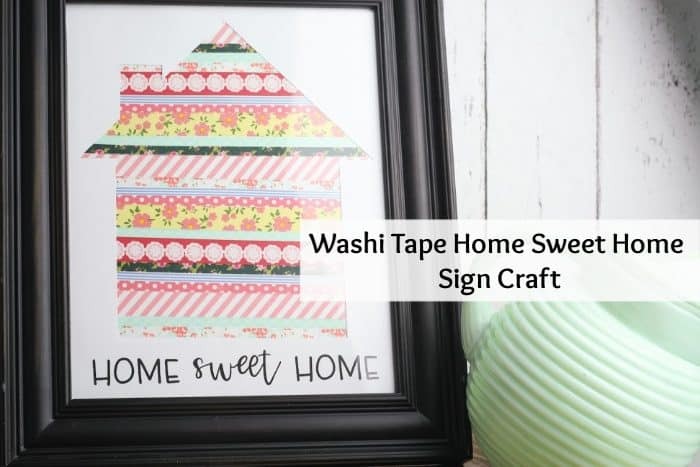 This super cute washi tape home sweet home sign will look amazing in any home! 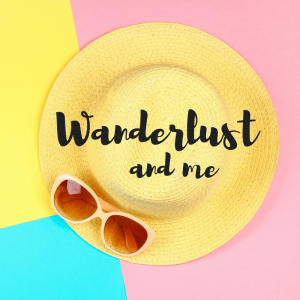 For someone who isn’t a natural crafter, I seem to have accumulated a ridiculous amount of washi tape so today I thought I’d share a quick and easy washi tape craft with you. 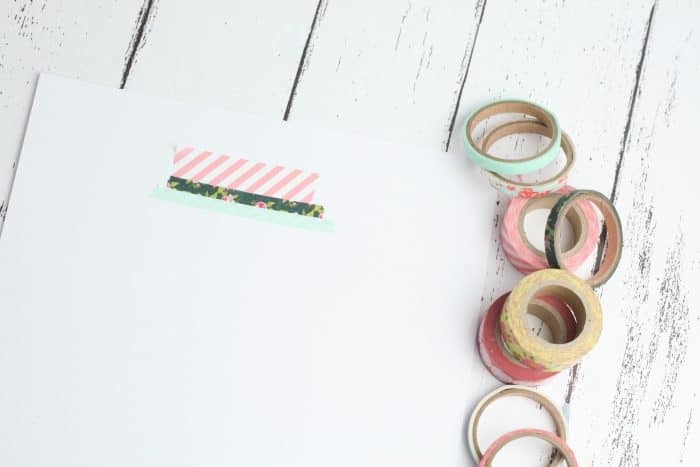 And don’t worry if you don’t have washi tape as I know it’s not something everyone has to hand – mine is from random blogger events over the years mainly. 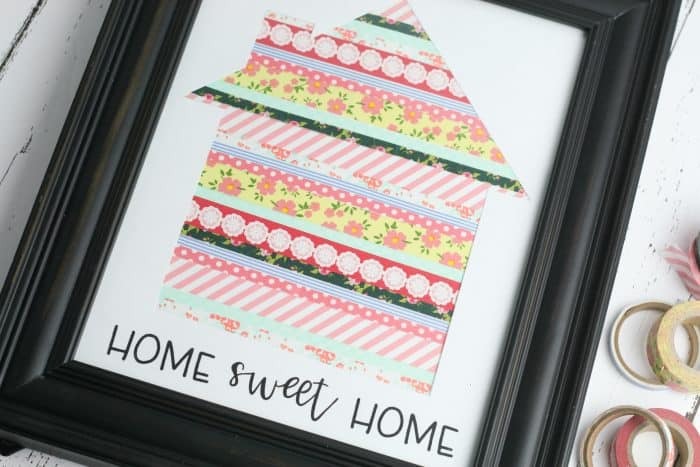 You can use any pretty paper or even a wallpaper or fabric sample that coordinates with your room. 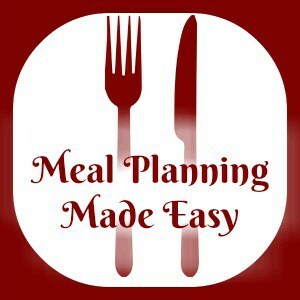 You can use normal paper but a good quality photo paper or thin card would make the finished result look even better! 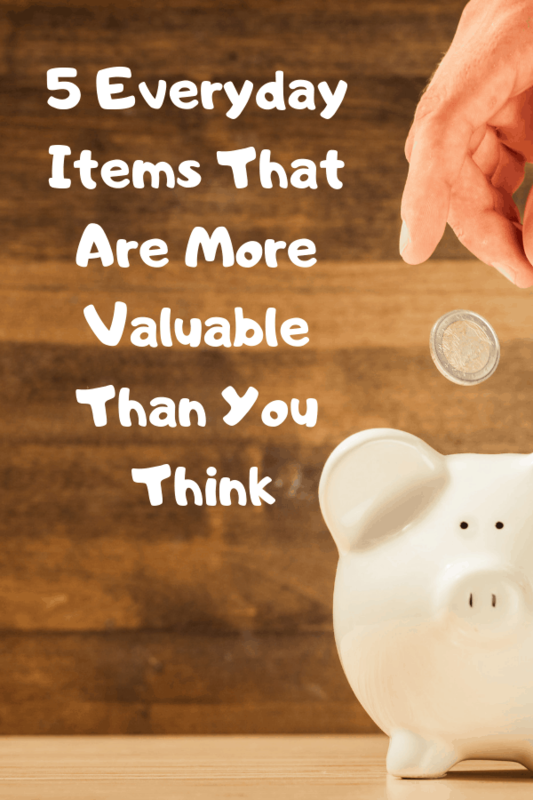 Now put that to one side and grab another sheet of paper. 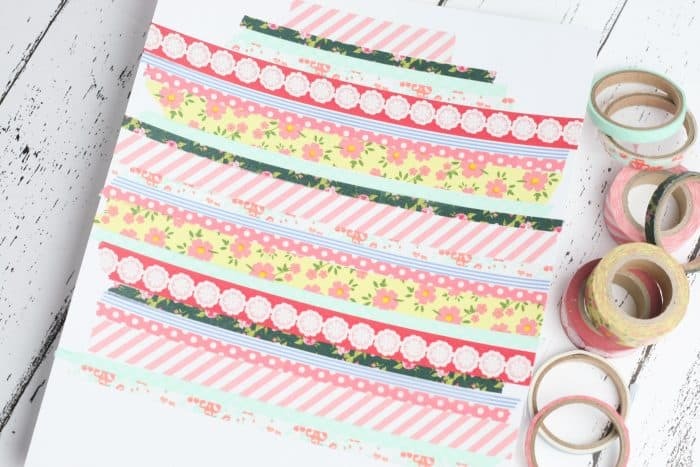 This will be the paper that you’ll use to decorate with the washi tape (or whatever you’re using). 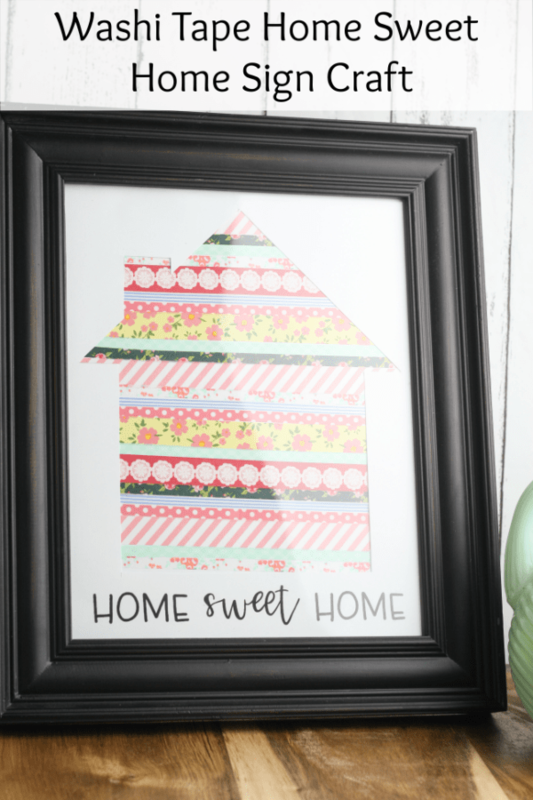 You basically need to full the area of the paper that will finish up underneath the house-shaped hole by adding strips of washi tape. I found it helped me to very roughly draw the shape of house on this piece of paper so I didn’t waste too much washi tape and I knew roughly how far down the page to go. 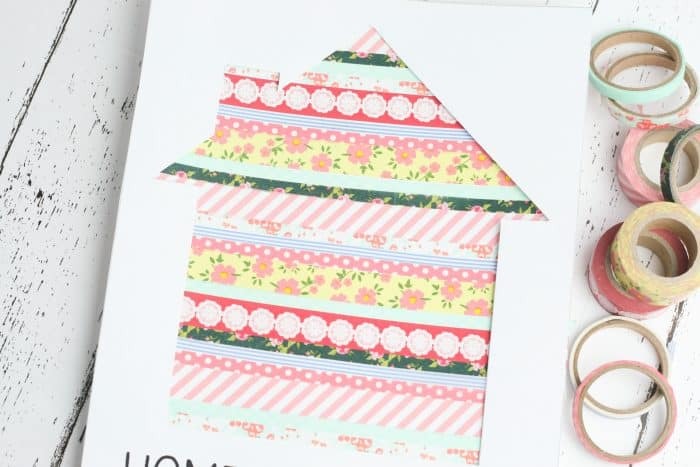 Once you’re done with the washi tape stripes, you can sit the page with the house shaped-hole over the wash taped paper. 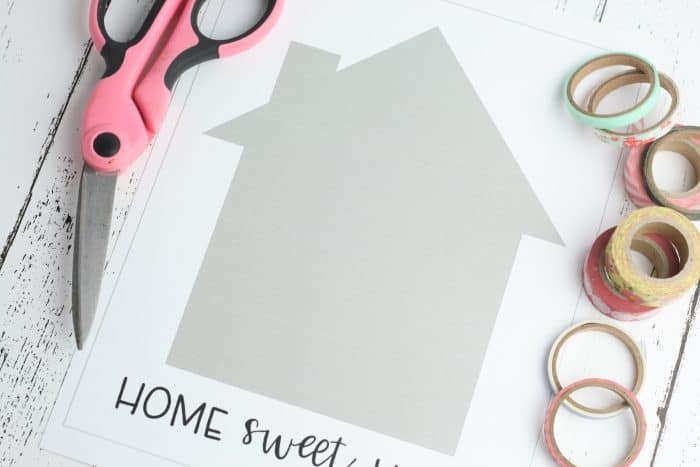 You can tailor the colours you use to match your room and as far as the frame goes, this looks just amazing in a cheap one from the pound shop or from Ikea as it does in a more expensive one.